For people who love anything durian-flavored, Four Seasons Durian may just be the shop to visit. The stall is the home to various unique Durian-themed pastries, cakes, and other sweet treats. 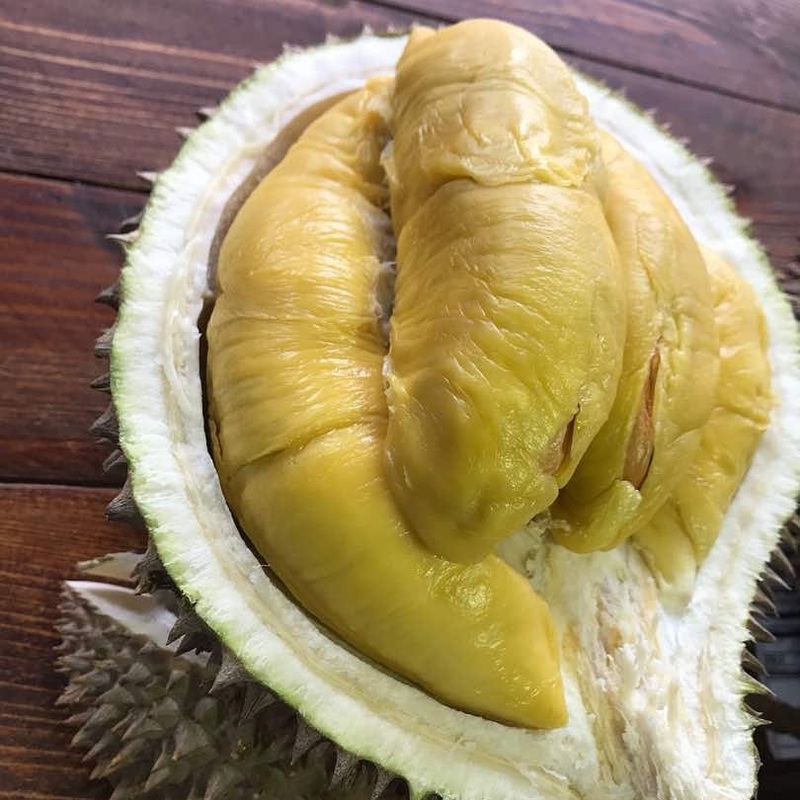 The company’s mission is to make a big difference in the durian industry by offering fair trade, outstanding service and their unique and excellent durian product inventions and recipes. Four Seasons Durian was established in the early 70’s. It was originally a fresh fruit stall located in Thomson Road. In 2002, baking instructor Victor Chan took over the company’s management. He was the one who decided to transform the fruit stall into a full-pledge Durian-themed confectionery store in Singapore. Quality and delicious, unique Durian-inspired products. The stall sells only one kind of fresh durian—Mao Shan Wang. Aside from that, their shop also offers a wide array of Durian-inspired baked products and other delicacies, ranging from Durian pancakes, mochis, puffs, durian candies, kaya, crepe, roll cakes, macaroons, candies, and tarts. One of their bestsellers is their Mao Shan Wang ice cream that they offer by the pint. They also provide different types and designs of durian cakes with the following filling choices—premium Durian and Mao Shan Wang filling. Some of their cakes vary in the weight of their filling, starting from 0.5 kg to 3 kg. Their cakes must be stored in the freezer within 2 hours after delivery or purchase. When stored properly, these cakes may last up to 2 weeks. Various outlets all around Singapore. Aside from their main stall at Takashimaya Department Store, Four Seasons Durian now has various outlets all around Singapore. You can now find them at AMK Hub, Nex, Clementi Mall, Seletar Mall and Giant at Tampines. Their products are also available at Shop D, Lee Fat House in Hong Kong. 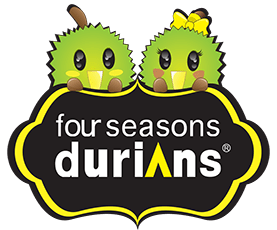 More than just a durian shop, Four Seasons Durian is also now available for franchise. The company is looking for like-minded and passionate partners that would help them to rapidly expand their business network and bring their products to different parts of Singapore and the world. Offers durian party services for corporate events. If you wish to give your employees an opportunity to have a taste of Durian-inspired baked goodies and cakes, you will be happy to know that Four Seasons Durian also caters to corporate events. – Delivery times are fixed at 12 and 6 PM daily. – Delivery charge is $15. – The delivery fee can be waived for a minimum purchase order of $35.